Just had to make one more card for the MIX10 challenge at Splitcoast. You can find the link on my previous post. 6) add some bling and the sentiment…done! Lee-Anne, I love your Mix challenge card. It's fabulous. The flower is awesome as is the bg. I so love those colors! 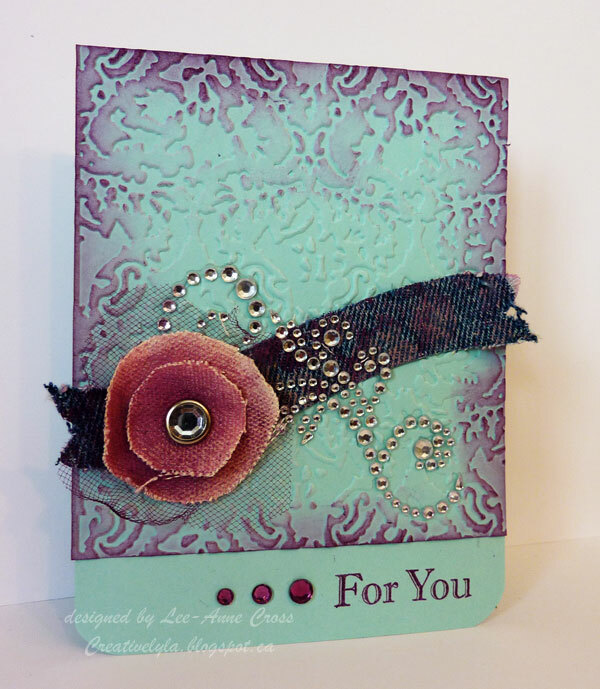 A beautiful creation, your flower and bling is fantastic!